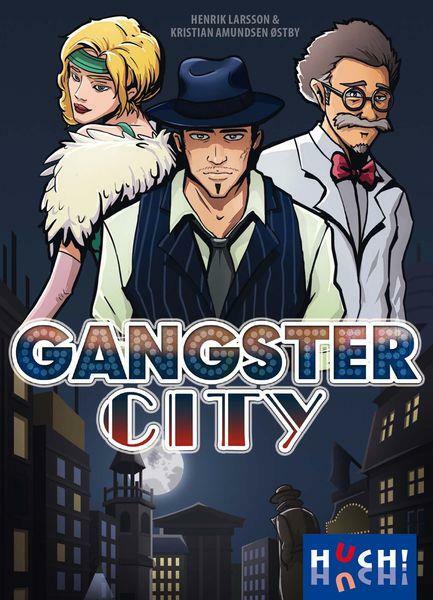 Can you solve the cases presented to you in Gangster City, preferably before the other detectives do so and show you up? The game includes a deck of 54 case cards, and each case card identifies elements about the case that you must discover; specifically, each case card indicates the suspect's profession (entertainer, scientist, thug), choice of weapon (revolver, knife, syringe), scene of the crime (theater, street, hotel room), and motive (money, love). 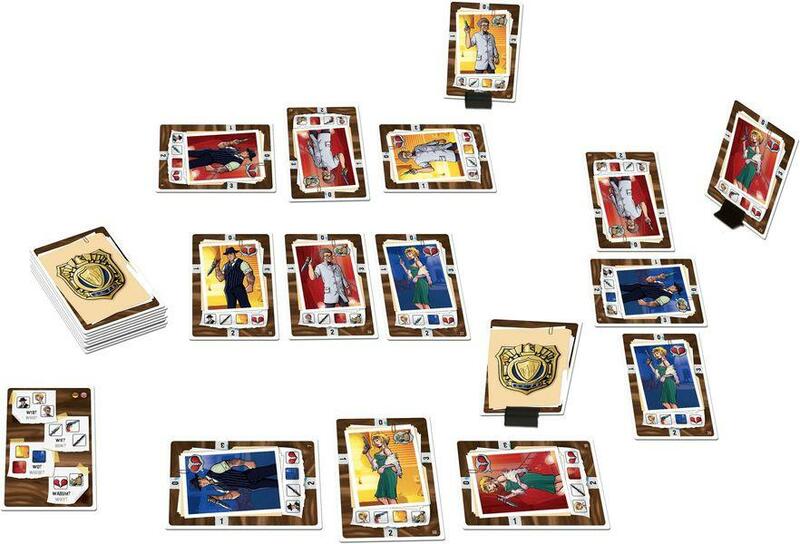 At the start of the game, each player takes a card at random and faces it away from themselves in a plastic stand. Three cards are revealed face up. On a turn, you can either take a face-up card or the top card from the deck, or you can attempt to guess your suspect's characteristics. When you take a card, you hold it up next to your case card, then the other players tell you how many characteristics they have in common. You then place this card in front of you, rotating it so that the number on the outer edge of the card shows how many characteristics they share (0-3). When you guess, if you're correct, you discard the case card and place a new one in the stand; if you're wrong, you continue the game as normal next turn. The first player to correctly solve two cases wins!